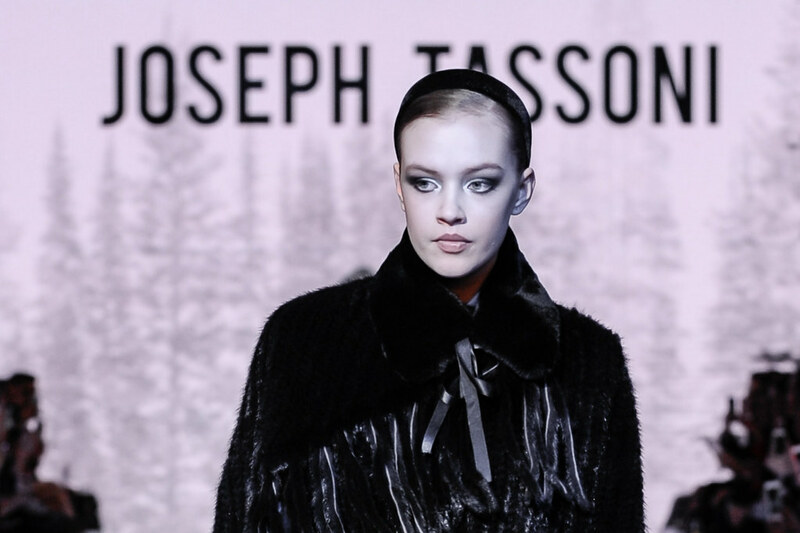 The occasion was Toronto Men’s Fashion Week and the inaugural Toronto Women’s Fashion Week (TW), where both Canada’s most iconic designers and the next generation of emerging talent showed off their creations on the runway through 18 memorable shows. Like any creative profession, being a fashion designer is a perpetual pavement-pounding grind, fuelled by passion and persistence. But is it even more difficult to be a Canadian designer, compared to one south of the border or in Europe? We caught up with some of the designers to hear their thoughts on the good, bad and beautiful of being a Canadian designer. The best part of being a Canadian fashion designer is being Canadian. With everything going on in today’s world, I literally kiss the ground I am so blessed to live on. This is the best country in the world. What is the hardest part about being a Canadian designer? I hate to say it, but we aren’t always supportive of our country’s talent. We have to leave and become bigger somewhere else before Canadians take recognition, and then suddenly it’s “oh wow we love that brand or that person – oh they are Canadian, crazy!” With that being said, I am beyond grateful and humbled with all my supporters; the energy and love on both nights makes my heart burst. What makes the Canadian fashion perspective so unique is the diversity of our designers. Whether the designer is a new Canadian or first, second, or third generation, we tend to bring out our cultural heritage in our designs, making for an eclectic range of styles and perspectives. No two designers share the same story and that’s something we should be proud of. The hardest part about being a Canadian fashion designer is getting sales meetings – the struggle is real. In my experience, I’ve encountered many Canadians who give special recognition to a local designer and are adamant about supporting. As a Canadian designer, I am fortunate to have an accessible platform such as Toronto Women’s Fashion Week in order to gain exposure. While being a female designer/entrepreneur in the fashion industry is beneficial to my namesake brand, it isn’t without its pressures. Long hours are involved in pursuing a career in fashion design, and when coupled with owning your own business, it can be a struggle to properly balance business and personal life. As a Canadian, it is a continuous struggle to receive the attention of an international audience. The competition is fierce given the small domestic market being saturated by large international brands. Canadian talent often gets underestimated. After living for a few years in Milan and London, I can say that the expense of running a business and living is much more affordable in Canada. As a main destination for international young talent, London is far too saturated and competitive compared to North America. Having said that, London is at the same time very good at recognizing talent and supporting it, which is something we need to improve in Canada. I think Toronto’s multiculturalism makes it inspiring and stimulating. The fact that international buyers don’t come to Toronto makes it difficult to reach them. Therefore, I used to do trade shows in NY and use a showroom in Paris. This is very challenging to sustain over the years without grants or government help, as it takes several seasons to grow the buyer list. Yes, NY is very close, but you can’t do a trade show every season without government support or investors as the cost is over $8-10 000 just to participate. To grow a fashion business, the number one thing is solid financial backing. I believe the Toronto Fashion Incubator is great for new designers, but there’s nothing in place to support existing designers, which is why so many talented designers have closed their businesses. When I lived in London, I noticed that every single department store carried so many British designers and there was a tremendous amount of support by the government, buyers, media and general public. I am proud to be a Canadian designer. Having lived and worked in different parts of the world, you start to see the differences in communities within the industry and how they relate with each other, and the Canadian fashion industry is one of the most supportive and inclusive that I have experienced. Everyone comes together and works together to help each other out; I’ve had other designers come and help me, and vice versa when it comes to show time, and other times of need. The support network is unlike anything I have seen, especially in comparison to my experiences in New York, where there is a mutual respect but it’s very hands off. The fashion industry is tough enough – having the support network that is like family makes all the difference in the world. The best thing is definitely the sense of community you can create with your surroundings. The fashion community here is relatively small and intimate. You can also feel the support more easily from the media than in other larger markets. The cost of doing business here is also more affordable – Canada is a bit isolated from the fashion market after all; it’s a niche market. You get to work the way you choose to while also having a real hands-on implication with your production. The main challenge also comes from the fact that Canada is quite small. Reaching a bigger audience is sometimes a challenge. Luckily enough, as I just mentioned, you can get some great press coverage following major events. But buzz unfortunately doesn’t translate directly into sales. When it comes to luxury products, the Canadian consumers generally don’t first opt for Canadian designers. One of the best parts is that Canada – being one of the best countries to live in – attracts the attention of a great majority of the world population to find out what is going on here. I have a good feeling that the international exposure of Canadian fashion design is attracting such attention. This opens up another door for Canadian designers to gain more exposure of their work. Locally, I feel that there is support from people who like your work, there is a niche for any style and everyone is looking to buy design made with top quality materials and locally-sourced. There is a high value of recognition and appreciation of local talent from the community and I have received a lot of support from all the people around me. I don’t think there is something hard or negative about being a Canadian fashion designer. Everything is good. I believe that if you can dream it, you can make it! The best part of having a Canadian fashion company (I am not yet a Canadian – still an American Permanent Resident) is being present in a community that is truly supportive and authentic in their approach to growing our local fashion industry. I have been the grateful recipient of the time and advice of some of our community’s most esteemed contributors and supporters. Simultaneously, I have also received the support and trust of previously unrelated sectors – agriculture and sustainability – with their support and open-minded approach to entering into the fashion sector. There is a level of kindness, love and genuine desire to collaborate in Canada that I have not experienced in any other region. I chose to start my sustainable fashion company and farm fibre-to-fashion message in Toronto because I believed this was a place that would be open to such wild proposals without prejudice. Canada is a truly remarkable country with beautiful people who are willing to venture into the unknown without ego and be bold in search of the new and furthering the evolution of its growth across all sectors. The toughest part about being a Canadian company is most certainly the early adoption and sales of a new high-end luxury product. There is a certain pragmatism and practicality that surrounds the consumption of Canadian customers – greatly in part to the weather demands placed on our day-to-day routines. However, it is this practicality that has kept Canada’s middle class strong without drastically polarizing it. We do have challenges being recognized as a sector that “adds value” to the agricultural industry for granting and funding purposes. We are neither fine art nor are we food – and fashion often times doesn’t receive the government funding and support of other sectors. However, organizations like the Toronto Fashion Incubator and Fashion Takes Action are dedicated to bringing those challenges to the forefront of change and I am incredibly grateful to be in a community where there are organizations helping to affect those changes quickly and in meaningful ways. One of the best parts about being a Canadian fashion outerwear designer is that I live in and understand our weather requirements. I have been able to create different designs that cater to our different climates across the provinces. Incorporating Canadian products, materials & labor and introducing my newest fit invention allows each piece to ease to the body (also available in plus-size). The opportunities are endless, as my approach is to create outerwear pieces that are fashionable yet functional and timeless in their design for both men and women (non age-specific). Canadians are recognized worldwide for our quality, execution and craftsmanship, and my goal is to ensure that anything I deliver represents or exceeds this expectation. In my opinion one of the biggest challenges in today’s outerwear market is to be able to compete globally by way of price point. One of the most challenging factors in bringing a Canadian made outerwear line to market, are the increased costs of manufacturing. Canadians do support the “Made in Canada” tag and I am proud as a Canadian to help grow our economy by sourcing Canadian materials and employing Canadians.